A 10lb miniature schnauzer named Liesl is the reason I have spent the last 25 years training dogs and teaching dog owners a positive approach to training their family pet. I have successfully trained several dogs to OTCH's (Obedience Trial Champions) and Breed Championships and have many clients who are presently showing in the obedience ring. My passion is still helping the average owner raise up his dog to be a well mannered family pet. Helping one dog and owner at a time is what it's all about. I love the one on one lessons where I can address the "problems" that are unique to each family. 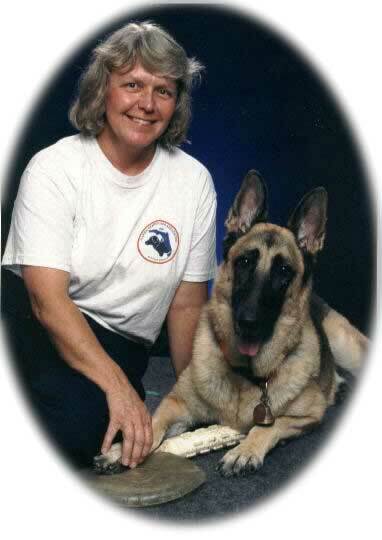 My first AKC German Shepherd Dog, Chance, was the reason I began training dogs. As I look back, I realize that I probably always wanted to train dogs, it just took one German Shepherd to help me realize the importance of having a dog trained to obey simple commands. As soon as I got Chance, I registered for a puppy pre-school class and I was hooked. I couldn't wait each week until we got to go to class. Later, as I began to learn more about dog training and all that one could accomplish with a well trained dog, I made the decision to try to achieve an AKC Companion Dog title with Chance. I also learned that a deep bond could form with a dog as you were working with them to attain a specific goal. 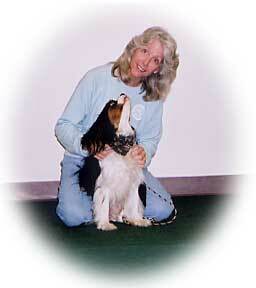 At that point, in my career, I began to train with Dee Zurburg, the owner of Class Act for Dogs. Soon, she asked me to work as an assistant to her and learn to train dogs and teach classes. I wasn't too sure about that, but decided to give it a shot. Since that time in the early 90's, I have worked with Class Act for Dogs as an Associate Instructor, teaching both group and private classes. I love the Basic classes and working with the owners who are getting to know their dogs in a really new and special way. It is always very satisfying to realize how much the new "dog teams" can accomplish in a short obedience session. I first became interested in dog training with my first dog, a very shy Catahoula Leopard Hound named Nica. My next dog, a very reactive Catahoula named Jester, got me interested in teaching others to train to thier dogs, especially puppies. I like helping people learn about thier newest family member and show them how to start them off on the right foot so they grow up to be a well-mannered, well-socialized dog that is a joy to be around. I compete in agility with Jester NAC, NGC, NTC, OJC and am training for Rally obedience. 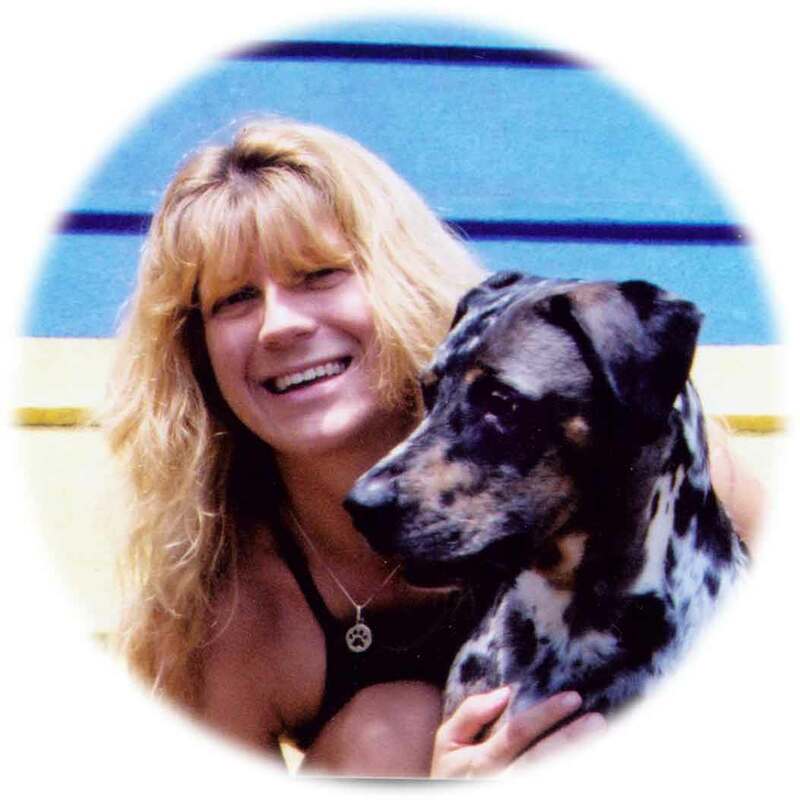 I am also a member of the Association of Pet Dog Trainers (APDT) and was the first trainer in Gainesville to become a Certified Pet Dog Trainer (CPDT).